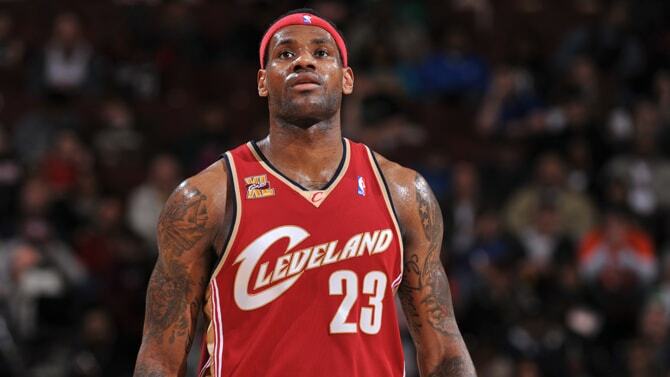 The return of LeBron James: What does it mean? The contents of this page have not been reviewed or endorsed by the Chicago Bulls. All opinions expressed by Sam Smith are solely his own and do not reflect the opinions of the Chicago Bulls or their Basketball Operations staff, parent company, partners, or sponsors. His sources are not known to the Bulls and he has no special access to information beyond the access and privileges that go along with being an NBA accredited member of the media. 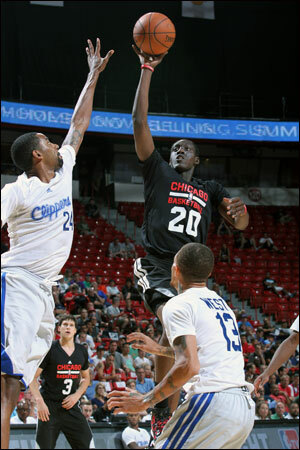 It was late in the second quarter Saturday of the Bulls’ summer league opener and Tony Snell actually looked like he wanted to play basketball. It is not a scene that played out much in Snell’s disappointing rookie season. The laconic 6-7 swingman who sometimes could be mistaken for a birdwatcher on the court, started with a couple of gracefully long strides, took flight and slammed the ball hard in further emphasizing a one-sided 86-70 Bulls victory over the Los Angeles Clippers in Las Vegas. “The hard work I put in this summer; I think, that was the big difference,” Snell said about a game-high 27 points, including five of seven three-pointers. So, yes, maybe coach Tom Thibodeau should not have played Snell at all last season the way he often looked like he was asking defenders if they minded if he shot the ball. The summer league opener was the NBA career debut for first round draft pick, Doug McDermott. McDermott was just two of eight shooting for 10 points with both three-pointers. He also had five rebounds and a team high four assists as the opposing Clippers constantly double teamed McDermott coming off screens and trying to make post moves. Yes, they scout even in summer league, and the lottery picks get the most attention. It probably helped Snell’s game some as he got more open shots with the defense shaded toward McDermott. Snell also was guarded much of the game by veteran guard Delonte West, trying to make an NBA comeback, and thus giving Snell a height advantage. McDermott, who also had a team high four turnovers with the trapping, showed decent quickness to defend more on the perimeter. He didn’t finish that well at the basket given he isn’t a high flier. But he, nevertheless, was impressive with an array of skills and effort and a shot you could see was sturdy. “It felt good to get the jitters out with the first game,” said McDermott, whom the crowd at the Thomas & Mack Center obviously came to see and drew cheers whenever he shot. “The pace of the game was a lot different than college. That will take some time to get used to. I played, not great. We got the win. I didn’t play my best. Missed some shots I normally make. Got a little too speeded up at times. It happens. It’s the first game. I look forward to (7 p.m. CT Sunday). McDermott said his father and college coach, Greg, was at the game and even though it was Las Vegas he said they’d probably spend the night watching film of the game. Snell figured to have watched some of his play last season, and he probably didn’t see a lot he liked. The No. 20 pick in the first round averaged 16 minutes in 77 games and 4.5 points on 38 percent shooting. But what stood out more was a failure to stand out or stand up. Snell mostly played cautiously, which perhaps can be excused for a rookie. But even late in the season it got so teammates were screaming at him to try harder. So perhaps it’s a new Snell, who came back this season a bit heavier and with a new look. Gone are the braids he has worn since grade school. Snell’s New Mexico coach Steve Alford was constantly bedeviled by Snell’s erratic play, enthused with his great athletic ability but then frustrated by his seeming indifference. It carried over to Snell’s rookie season with the Bulls when he, at times, seemed even frightened to compete. But some close to Snell say it was an eye opening season for Snell and he’s had a stronger attitude coming back to the Bulls. It seemed also Saturday, in some respects, a new game. Snell showed flashes of good shooting last season. But Saturday he also showed more moves with the ball, like a third quarter tear drop on a drive, the driving slam dunk and another drive trying to dunk on the Clippers’ center (whoever he was) and less hesitation when shooting. It could be crucial for the Bulls given the free agency activity that apparently has Pau Gasol coming to the Bulls. Carmelo Anthony now is most likely to return to the New York Knicks. And while Gasol’s presence further solidifies a strong front court, there remains a pressing need for wing play and perimeter shooting. And perhaps Snell can provide some of the answer. The Bulls never trailed in the game as Snell’s threes got them off to a fast start. The Bulls tried to run their floppy actions for McDermott similar to the plays they ran for Kyle Korver. But McDermott had difficulty finishing at the rim in the early going. Snell then later in the first quarter was fouled on a crossover move and attempted dunk over the defense. The Bulls led 22-19 after the first quarter and kept ahead the rest of the way. McDermott showed some nice moves with the ball, but after a good spin did have his shot blocked. But then he got his shot going and made a pair of threes. Free agent guard Billy Baron from Canisius was the only other Bull in double figures with 11 points as he played tough and dribbled into a halfcourt three to close the third quarter. Former University of Illinois guard Brandon Paul was injured in pre-summer league workouts at the Berto Center and likely won’t play in Las Vegas. He was wearing a shoulder harness. Second rounder Cameron Bairstow had eight points and six rebounds in showing enough physical play probably to make the roster. The Bulls brought along injured forward Greg Smith, who reportedly is being traded to Dallas to create more salary room for a Gasol contract. But the story of the game was Snell, who shot 10 of 14 overall and looked to make plays. And perhaps a good early signal for the Bulls. Smith covered the Bulls and the NBA for the Chicago Tribune for 25 years. He is the author of the best selling The Jordan Rules, which was top ten on the New York Times Bestseller List for three months. He is also the author of Second Coming: The Strange Odyssey of Michael Jordan and co-author of the Total Basketball Encyclopedia. Smith served as president of the Professional Basketball Writers Association for four terms, a feat no one else has accomplished. He has also served on committees for the NBA and the Naismith Memorial Basketball Hall of Fame. In 2012, Smith was honored by the Naismith Memorial Basketball Hall of Fame with its Curt Gowdy Media Award.